The Technarte exhibition showcases select artists from the last 10 years of the Technarte conference on Art, Science and Technology, based in Bilbao, Spain. This years inagural US conference is being held at Santa Monica’s Writers Boot Camp at Bergamot Station Dec 10-11, 2015 and LACDA, Los Angeles Center for Digital Art proudly presents the conference’s satellite show at it’s downtown Los Angeles location. 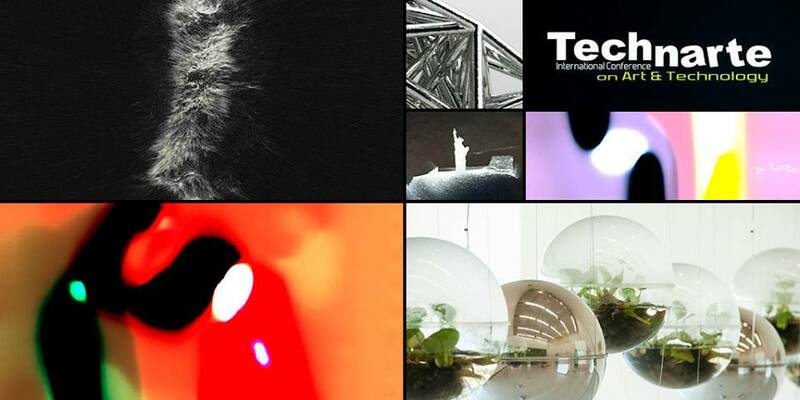 Technarte provides a forum for discussion and reflection around the existent convergence between Art & Technology with an annual event primarily focused on professional networking with Artists, Engineers, Scientists, Robotics, Architecture, Interactive Design, Bio-Art, Nano-Art as well as other disciplines. The exhibit will feature an impressive team of twelve internationally acclaimed visual artists including; #NovaJiang, #JenniferSteinkamp, #FrederikDeWilde, #PatxiAraujo, #OPNStudio, #EddoStern, #JaimedelosRios & #AlessandroScali. The exhibit will display artworks, transmitted through Mobile Art, Nano Art, Bio Art, Sciart or Robotic Art, to name a few examples of how these artists use technology to create and understand the Artistic, Scientific and Technological world. Technarte is a vessel for innovation encouraging artists to challenge the traditional boundaries and preconceptions of what is considered Art, Science and Technology and how these three fields fuse together variety to invent futuristic media as a result. Technarte’s programming cultivates progressive ideas and fosters new opportunities for artists. The TECHNARTE Conference is located at the Writers Boot Camp on Thursday & Friday, December 10th & 11th at Bergamot Station with the Opening and Artists’ Reception at LACDA Saturday December 12th at 7pm.